?Pro liberate dimicandum est? was released specially for the 2000 years anniversary of the "Varusschlacht". Classical melodies combined with the iron rough edges of MARTIAL INDUSTRIAL on a crusade through the ages. 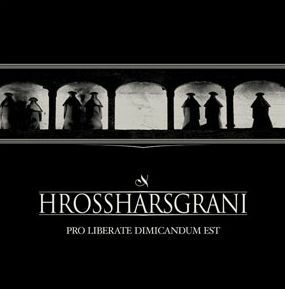 A musical journey far off the trampled paths of industrial art was the basis for each single HROSSHARSGRANI track! HROSSHARSGRANI is Alex Hugin Wieser, the man behind URUK-HAI, BONEMACHINE and several other projects. 10 songs / 53 min.